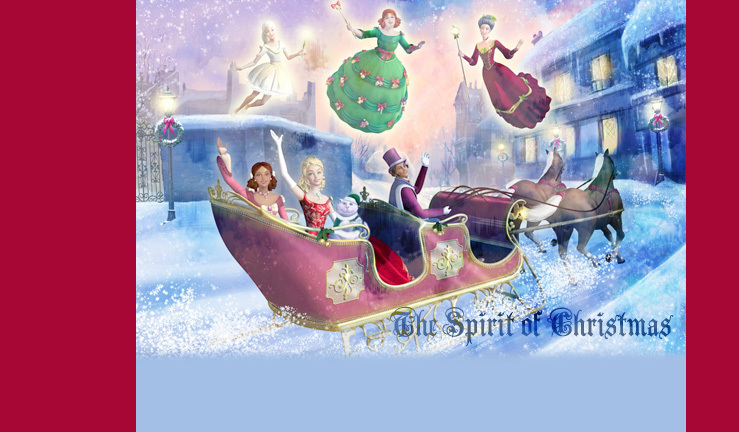 Hello and welcome to The Spirit of Christmas, a fanlisting dedicated to the beautiful 2008 holiday movie Barbie in A Christmas Carol, based on Charles Dickens' classic tale. I had been hoping they would make this retelling featuring Barbie, but a part of me thought it was unlikely. When I heard it was being made, however, I was thrilled! And I was equally thrilled to have been approved for the fanlisting! So if you are a fan of this enchanting and, in Barbie's words, fantastical, Christmas movie, please feel free to browse and join the fanlisting!